See Our A/C Services Here! Alliance Heating & Air Conditioning Services, Inc. is proud to provide complete HVAC services to customers throughout Stockbridge and McDonough, GA. Call us for AC and furnace installations, repairs and maintenance, along with indoor air quality checks and solutions. We focus on providing tailored solutions for your home, to ensure you’re getting the highest caliber service possible. You may not realize the daily importance of quality forced air in your home until it’s in jeopardy. A faulty furnace, an ineffective AC unit or air that’s full of debris can quickly hamper your health and your wallet! To make sure you’re not paying the price for the inefficiencies of your HVAC in McDonough, GA, Alliance Heating & Air Conditioning Services, Inc. is here to help. We deliver customized heating, cooling and air quality solutions to homeowners throughout the area, so you can live with peace of mind that your home’s crucial systems are operating effectively. Call on us for HVAC installations, repairs and maintenance, and know that you’re always in good hands. It doesn’t matter what the problem with your HVAC system is, what brand-name products you have or when your last service appointment was—as soon as you schedule an appointment with our team, you can rest assured in a job well done. We service all brands, and specialize in installing new Rheem and Tempstar units. We’ll work to determine your furnace or AC unit’s efficiency, any points of concern and what services it’s due for. 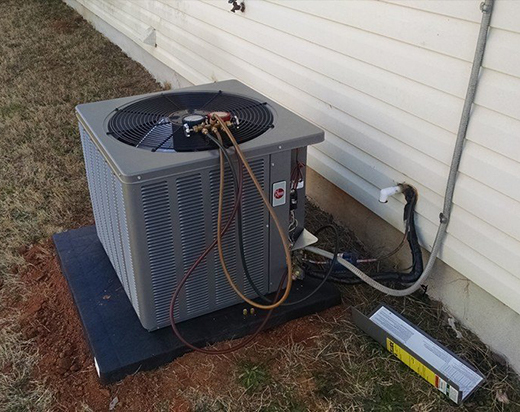 We can even keep you on track with routine HVAC service in McDonough, GA. At the end of the day, our mission is to keep you comfortable in your home. Let us be the first call you make when it comes to maintaining the highest level of forced air efficiency in your home. Offering the perfect marriage of affordable rates and tailored, personalized service, we deliver proven results that our customers can trust. We’ve been providing families and businesses with quality HVAC products and services for over 22 years. We’re fully licensed, bonded and insured, to give you peace of mind and confidence in choosing us as your complete HVAC contractor. Our strong suit is scheduling and keeping appointments organized. You can always count on us to be on-time and efficient! Our business is affiliated with the Better Business Bureau (BBB) and maintains a superior rating. Experience the peace of mind and quality of life that comes from a properly installed, repaired and maintained HVAC system! Contact our team the next time you need heating or cooling service.